Talega is a master-planned community in San Clemente that consists of neighborhoods which are mostly single-family homes, and some townhouses and condos. Only 6 of Talega's neigborhoods feature a gated entrance requiring a code to enter, there's no guard gated neighborhoods. These Talega gated homes enjoy all Talega's ammenities which include over 19 miles of hiking trails, a seven-acre Talega Swim and Athletic Club with 2 pools, water play park, a sport court, plus sand volleyball and picnic areas. In addition, there are two other community pools and 3 other parks: Liberty, Tierra Grande, and Talega park , all with huge grassy areas, covered picnic tables with bbq's. Soccer, basketball, baseball and tennis fields are found within these parks. There's also 2 other pools for residents located at Tierra Grande and Liberty Park. The highly rated Talega Golf Club and Grille with its 18-hole, Fred Couples golf course is rated one of the best public courses in Orange County. Talega Gallery ( consisting of 4 senior (55+) neighborhoods. The gated neighborhoods of Careyes, Catania and Vittoria are located off Avenida Talega which provides easy access to the Talega Village. Some of these homes have golf course and ocean views and residents enjoy the privacy these gated communities offer. Home sizes within gated communities in Talega range from 2,232 to over 6,000 square feet with up to 7 bedrooms, 7.5 baths and 4 car garages. View all Talega gated homes for sale listed in the MLS below, or click to read more about Talega Gated homes. You can also search for Talega Gated Homes by map. All gated neighborhoods in Talega enjoy all the amenities of Talega, plus the privacy of the gates. Altura by Standard Pacific Homes is the newest of the gated neighborhoods in Talega. The 14 semi-custom view homes are set behind private gates along a picturesque cul-de-sac street in the seaside hills of Talega. Homes range from 4,719 to 5,399 Square Feet, with 5 – 7 Bedrooms, 5.5 – 7.5 Baths and up to 3 Car Garages. Lucia by Laing Luxury Homes is another luxury gated neighborhood. The 53 residences range from 5,685 - 6,070 Square Feet, up to 7 bedrooms, 7.5 baths and 4 car garages. Lot sizes here average over 15,000 Square Feet and many say the have the best location in all Talega, with top views, yet relatively close proximity to the Village. 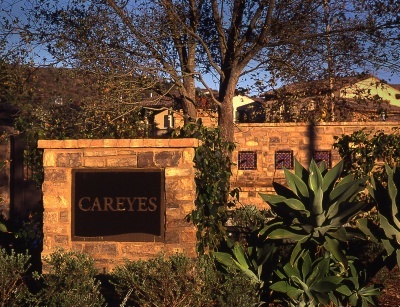 Careyes, by Brookfield Homes, is another high-end luxury neighborhood, consisting of 42 luxury homes with many directly overlooking the Talega Golf Course and some with ocean views. There are 7 floorplans ranging from 4,500 to 5,200 Square Feet, 4 to 6 Bedrooms, 6.5 Baths and private casitas. Vittoria, by Standard Pacific Homes, borders The Talega Reserve and located on the eastest part of Talega. Floorplans range from 2,686 to 3,376 Square Feet up to 6 Bedrooms, 3.5 and 3-Car garages. Catania, by Standard Pacific Homes, features four 2-story designs from 2,873 - 3,756 Square Feet, up to 6 Bedrooms and 4.5 Baths. Catania is conveniently located within walking distance to Tierra Grande Park. Homes in The Talega Gallery are four gated neighborhoods for the active lifestyle, over 55 senior community. For more information about these gated senior homes, follow the link.